Building an effective telemarketing team takes time. 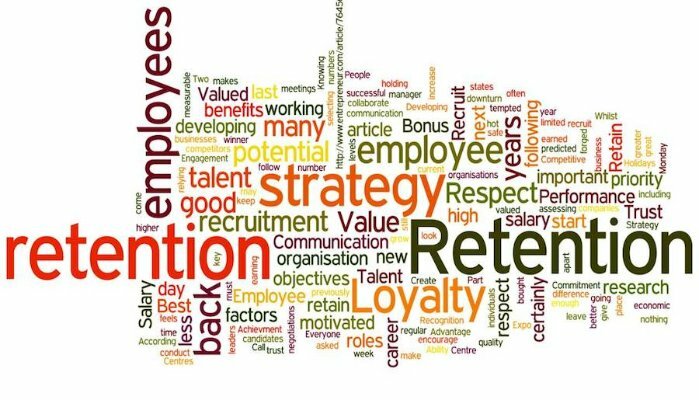 It’s an ongoing process to ensure your staff stay motivated and excel at their work. There are many different methods you can use to nurture your staff in order to boost morale and provide a happy, friendly atmosphere for them to work in. Every single person that you hire will have a different level of experience at telemarketing. Perhaps some have never worked in telemarketing before, and some are seasoned professionals. Tailor your initial training so that those who need some extra support get it. Don’t expect everyone to be able to jump straight on to the phones – offer coaching and encouragement if it’s needed. Sometimes team members will struggle to meet their targets. This can be especially true of nervous new hires who haven’t worked in telemarketing before. Rather than berating or penalising your employees, consider helping them to improve. You could team up a struggling team member with one of your higher achievers and let them sit in on the calls so that they can learn how to convert calls into sales. Or perhaps allow them to sit in on the next training session that you do for new starters as a “refresher”. It can be very demotivating when you hit your targets but don’t receive recognition as you aren’t quite in the league of the “top achievers”. 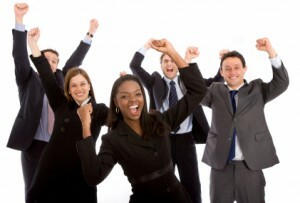 Make sure all employees get praised for good work, even if they haven’t made it to the “top of the table”. Even if someone doesn’t meet their targets, if they have improved on last week, or closed a sale that’s much larger than average, a simple “well done” can do wonders for their morale. Rather than having a script which has to be followed to the letter, consider implementing a blueprint strategy. These contain points that should be covered in a call, and a general outline, but they offer greater flexibility to allow the team member to tailor the call to the caller’s specific needs. This can help build a rapport with the caller which makes them happier and more comfortable talking to your staff. A relaxed, positive caller is much easier to turn into a customer than someone who feels like their needs aren’t being met. If you feel like your team’s morale could do with a boost, try setting some incentives or targets to push them into working at their absolute best. Perhaps you could hold a competition with a desirable prize – either something tangible such as an iPad or something like an extra day’s holiday or a bonus. Try to make sure all team members can participate in the competition. So, rather than saying the winner is the person who closes the most sales (which would automatically exclude people who are only just hitting their targets, or those who are working on an account where calls typically take longer to complete), say the winner is the person with the largest personal percentage increase of sales from the previous month. That way, each person is specifically trying to improve on their own work, rather than compete directly with the results of others. Don’t chain your staff to their desks. Allow them to take a short break every hour or so to stretch their legs, get a cup of coffee, use the bathroom and generally have a stretch and clear their heads. This allows them to come back to their desk feeling refreshed, and take on the next call with renewed vigour. Not everyone will take these breaks, and most probably won’t take them every hour, but knowing the option is there can help team members get through their day with a happier outlook. You can’t expect someone you hired yesterday to close the same number of sales as your highest achiever. Make sure your sales targets are achievable, especially when staff are still getting to grips with their blueprint or script. If you set unachievable targets, this is highly demotivating if people don’t hit them, as they will be instilled with a sense of failure and they will be constantly on edge that they will face repercussions or lose their jobs. Even for the most seasoned telemarketers, working on the same type of calls day-in, day-out can lead to boredom. If you have different clients, or different types of calls, try mixing up the schedule of your staff so that they aren’t always selling the same thing. You might find that certain team members excel with one particular client – you would never have known that if you had always kept them on the same call. That being said, certain team members may enjoy the repetition and prefer to stay on the same script. Talk to your staff to learn their preferences and try to make sure you keep to them. After all, happy staff = happy sales!